The following story exemplifies how two members of the EARN network (Enterprise and Performance Plus Rehabilitative Care Inc.) worked together to achieve the right job match for a person with disabilities. Ahmed Abdi-Salah, Branch Rental Manager for Enterprise Rentals in Kanata, believes in hiring people who can do the job and contribute to the success of the business. He also believes in looking for talent where others do not. Ahmed saw a valuable employee when he hired Nicholas Wojtas and gave him the opportunity to prove himself at Enterprise. Nicholas found his employment by working with Joël Dazé, a Counsellor with. 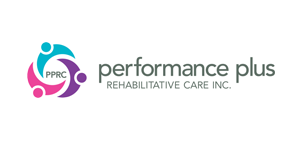 Performance Plus Rehabilitative Care Inc. (PPRC). Joël helped Nicholas prepare for employment and assisted him in finding the job at Enterprise. PPRC helps persons with disabilities return to work by matching their interests with employment opportunities. PPRC is an approved service provider for the Ontario Disability Support Program (ODSP), which offers placement services to employers at no cost to them. PPRC partners with Eastern Ontario employers to help them become more inclusive in their employment practices. Employers cannot afford to overlook this talent pool, if they want to remain competitive, grow their business and gain market share. This story first appeared in the winter 2017 edition of Ottawa Family Living magazine. Thank you to Linda Simpson of PPRC for submitting it as an EARN success story.